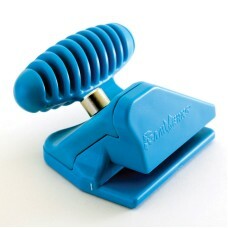 Create perfect adjoining foamboard joints with FoamWerks Foamboard Rabbet Cutter. The innovative ergonomic construction and dual blade action create one-stroke finished results. WC-4010 also features on-board blade storage and includes two blades. Use as either a right-handed push style or left-handed pull style action. The Rabbet Cutter works with 3/16" foam board. Use replacement blades WC-5, WC-20 or WC-50.